Pelling is well nestled area within the calm and peaceful lap of nature. This lovely small hill station has several beautiful attractions for breathtaking moments. For your potential enjoyment, there are well arranged exhilarating outdoor activities, green walking areas and spiritual retreats. 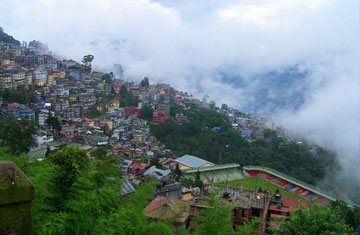 Even the air of Pelling has some magic which offers you inner joy on twinkling music. The waterfall from landscape areas provides a complete refreshing feel. Nature is at supreme position in this heavenly place where you can explore the beauty of Sangachoeling Monastery, Darap Village, Sewaro Rock Garden, Singshore Bridge, Rimbi Waterfall, Kanchenjunga Fall, Khecheopalri Lake, Kanchenjunga National Park, Kaluk, Pemayangtse Monastery, Yuksom, Changey Waterfall, Ravangla and several other points of interests. Within the entire terms, Pelling is perfect destination for delighted, relaxing and awe-striking views.